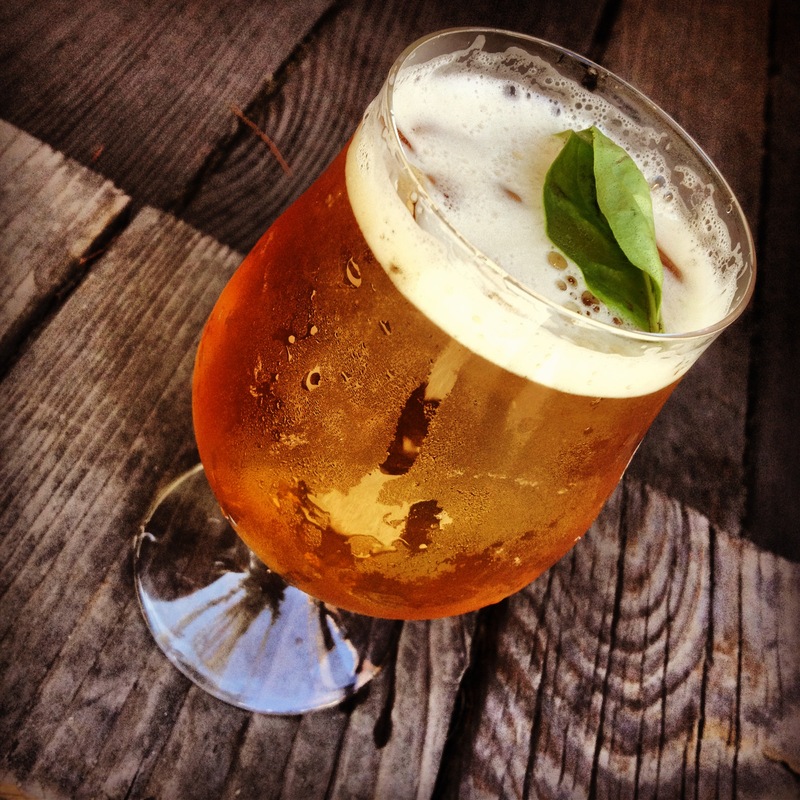 We've found a way to combine basil & beer. I News / We've found a way to combine basil & beer. We are a bunch that always tries to find new ways to do things, and you probably know it. After all, that is one of the main reasons there is Click & Grow. If everyone grows produce in the back yard, we're gonna go ahead and start growing it in a closet in our living room (aka Smart Farm). If everyone drinks pilsner on a hot summer day, we're gonna go ahead and cook up a Honey Basil ale. 1. Raise 11.350 l (3 gallons) of water to 71° C (160° F). 2. Add 225g (0.5 lb.) unpasteurized raw honey, stir to dissolve, mash in grains and hold for 45 minutes. 3. Sparge with 11.350 l (3 gallons) 76° C (170° F) water and collect 13 l (3.5 gallons) runoff. Boil 20 minutes. 4. Add hops according to schedule above. Turn off heat, add aroma hops and basil and steep 15 minutes. 5. Chill to 24° C (75° F) and rack to carboy. Take hydrometer reading of wort. Do not top up. Add yeast. 6. Make honey solution with 7.5 l (2 gallons) of water and 1kg 350g (3 lbs.) pasteurized alfalfa honey, to match wort gravity as detailed in article. 7. Put honey solution in a sanitized, sealed glass container. When yeast is at its most active (8-12 hours after pitch), add solution. 8. Ferment at ale temperature 3-4 weeks. Bottle or keg when complete.